Never put all your eggs in one basket. That’s what my father used to say. Being a writer is – and always has been – one of the most difficult and competitive endeavors. Especially now. So you have to go about this with a sense of humor, a healthy grain of salt, a one-day-at-a-time attitude. I have been reading numerous posts about social media burnout, writers taking “Lenten sabbaticals,” still others saying they have no time for husbands, grandchildren, etc. in the pursuit of book discoverability/marketing/publishing. I think I understand that. Yet, for me, one of the joys of being an author – is living creatively and meaningfully. Lose that and inevitably writer’s block ensues; no joy, no creativity. So I'll keep traveling, enjoying time with my dog, my family and my friends. Tending the garden, so to speak. 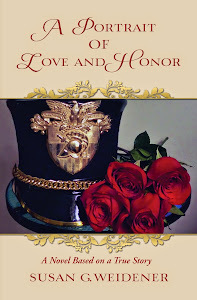 By now you know that I am about ready to release my new book, A Portrait of Love and Honor. This is my 4th book in five years and, as always, there is a sense of adventure, as well as trepidation. Suppose nobody buys it? It’s like that party where none of the invited guests showed. A nightmare if you dwell on the possibility. Forget that. I’m determined - if nothing else – to have fun with this book. I will not view what happens with this book – or any future book - as a be all and end all of my creative life, talents and pursuits. Of course I wouldn't complain having a gazillion sales or the book going viral. But I no more accept the notion that everyone can move up in the world – an impossible dream – as everyone can have a bestseller. So right away that exempts much of the criticism, the expectations, the how to’s and what to do’s drilled into authors every day by the so-called marketing gurus, writing and publishing “experts” and the lot. In the final analysis, a true and honest creative work is unique and worthy in itself. And a good book is not always recognized as such, no matter how much we’re told that success or failure lies in our own hands. So much in life is out of our control. Creative works are fragile and need to be lovingly tended. So . . . here is what I plan to do in order to have fun, ease the stress and pressure - call this my own "After Lent Sabbatical" . . . call me crazy. Work on one marketing endeavor a day. For example, one phone call setting up a book signing or talk. After that, back to writing, editing, enjoying a walk with my dog. 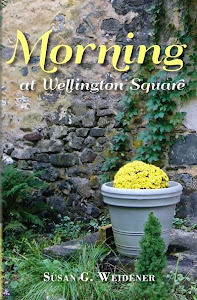 Offer a Goodreads Giveaway and have fun seeing who signs up to win a free copy. Wait three months before I even consider BookBub. Engage with readers in person about writing and storytelling. 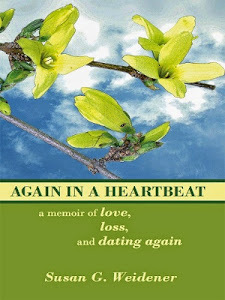 Feel pride in my prior work and enjoy marketing those books alongside this book at my own pace and on my own schedule. Read no more than one post a day on how to market/sell your book, get more “followers,” boost your email list, pump up your blog stats, hone your Amazon keywords, etc. Not get hung up on social media, how many Tweets I tweet . . . or posts by other writers I respond to, or photos I pin to my Pinterest boards but, doing this if and when the spirit moves me and it feels right and interesting to do so. Politely ask people to write a review, if – and only if – they tell me they enjoyed the book. After all, what have I got to lose by asking? Appreciate each person for taking the time to write an honest review; good or bad. 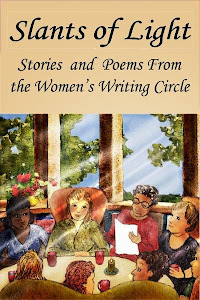 Continue to help and promote other authors as best I can. The temptation is to only promote ourselves, but this is a community, a collaboration of writers who need to offer each other a helping hand . . . especially in this toxic publishing climate. How about you? Have you taken a stand to tackle marketing with an eye toward having fun and easing the pressure on yourself? Please share your thoughts and comments.